We’re delighted to welcome aboard some exciting new sponsors for 2019, as well as our dedicated and loyal supporters from previous years. Without the generosity of these businesses our day would not be possible, so from the Pink Ladies Team a HUGE Thank you! We encourage all our Pink Ladies to support those who so generously support us. We welcome new sponsors to our team… if you are interested in finding out more about sponsorship opportunities please contact newingacottage@bigpond.com. Click on the logos to learn more about our Premium sponsors. Our mission is to earn guest loyalty through delivering quality and value across sales, parts and service experiences with integrity and enthusiasm. We focus exceeding expectations for every guest every time. Owned and operated by the O’Shea family since 1981, is one of the smallest Dealerships in the world, with a vast unpopulated PMA in the South West “Corner Country”. Thargo Motors is truly the “one stop shop” as Burke & Wills confirmed, there is nothing in 370klm to the SA border. Tait Toyota was established in 1976 and it is a family owned business in Goondiwindi and Moree. 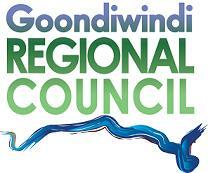 We are very heavily envolved in sponsorship and other local organisations in our area. We are very proud and privileged to be associated with this local area and we employ over 100 employees and we are very lucky to be associated with Toyota Australia. Give the Gundy Guys a Go. O’Brien Toyota has many years of experience providing south east Queensland and north east New South Wales with New Toyotas and Quality Used Cars. Our focus is on providing an unmatched customer service experience each and every time you visit our Toyota dealership. O’Brien Toyota is proud to be a family owned company and has a strong standing amongst the St George community as not only your local Toyota dealership but for being involved in the local community. For more than 30 years the friendly staff at Black Toyota have been selling and servicing new and used vehicles in the QLD region. Our state of the art modern showroom and large display areas allow customers to casually browse the great range of Toyota Vehicles. Our friendly staff are specialists who are proud of their association with Toyota Australia, and look forward to assisting you when searching for your new or used or Toyota vehicle. Toowoomba Toyota – 597 Ruthven , Toowoomba Qld 4350. February 2012 saw the start of an exciting new era for Toyota in Toowoomba, with the inception of Toowoomba Toyota. During the past five years, the business has grown and the staff has expanded to nearly 90 local Toowoomba Employee’s. At Toowoomba Toyota Dealer Principal Brett Motton, along with the staff are focussed on our Guests and their experience. We strive to exceed our Guests expectations and create a vehicle Sales and Service experience of a lifetime at every touchpoint. Toowoomba Toyota has well and truly cemented their footprint within the Community. 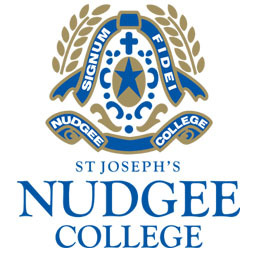 Exclusive Vehicle Sponsors of a number of local Organisations; Toowoomba Rugby League, YellowBridge Qld and we are also involved in helping out many other Organisations within Toowoomba. Ken Mills Toyota is a family owned and operated business, first established by Ken and Sheryl Mills in 1993 in Kingaroy, and the business has continued to grow ever since. With a foundation built on the core values of respect for people and continuous improvement, Ken has been able to develop a customer-first culture that makes it easy for customers to do business and to ‘deal without doubt’. Lockyer Valley Toyota has been a family run dealership providing service to the Lockyer Valley for almost 50 years. 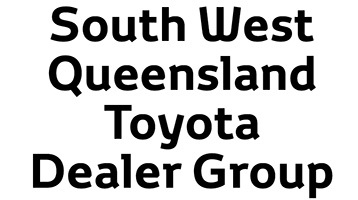 Lockyer Valley Toyota are a 5-Star Guest Service Dealer for Sales and Service. We have also been awarded the President’s Award and Rural Dealer of the Year for 2015 and 2016. Hayes Toyota – A 4th Generation Family owned and operated Dealership since 1918 is a true pioneer of the Motor Industry. Originally founded by the late Albert George Hayes as a coach building business his grandson Bert Hayes Jnr together with his friendly team continues his grandfather’s tradition of putting customers first every time. Family owned and operated by Ross and Trish Tait since 2008. Our business model focus is “Genuine value, genuine care” and we have built a reputation around this by committing ourselves to providing an outstanding level of Guest satisfaction. In 2017 we celebrated Toyota Australia 5 Star Dealer Guest Satisfaction Achievement for the 5th consecutive year! Oh what a feeling! Founded in 1928 by Wilf Seymour (a blacksmith) the business started off as an international truck and farm machinery supplier. Seymour Toyota continues today as a family owned and operated operation with 3 generations of Seymours currently active. For true personalized service and ‘stress free deals’ that only a small family run dealership can provide, “give the little guys a go!” Not big in size but huge on service. The Team at Lismore Toyota, are committed to helping their guests get behind the wheel of a New Toyota, Demo Toyota or Used Car that is perfectly suited to their needs. They believe in listening to their customers and offering honest advice, every time. It is their aim to ensure new car purchases are easy and stress-free and that every interaction with Lismore Toyota is an enjoyable one. AgForce Queensland is a peak organisation representing Queensland’s rural producers, which strives to ensure the long term growth, viability, competitiveness and profitability of broad acre industries of cattle, grain, sheep and wool in Queensland. AgForce General President Grant Maudsley AgForce promotes and protects the social fabric and economic prosperity of its members and rural communities in Queensland. Click on the logos to learn more about our Gold sponsors.